In the summer of 1974, Dr. Rose Strongin, a Jewish marine biologist from Atlantic Canada, inexplicably disappears for three hours at an archaeological dig on the Western shore of the Sea of Galilee. Consequently Rose, her husband Simon and their two young daughters miss their return flight from Tel Aviv on TWA 841 which explodes over the Mediterranean killing all aboard. Haunted by the event and with no memory of her disappearance, Rose works to put it out of her head and focus on her work and family. But twelve years later, in 1986, she learns that a 2,000 year old perfectly preserved vessel, dubbed by the press as the "Jesus Boat", is uncovered at the site of her disappearance and she begins to slowly recall the events of her amnesia. The Accidental Pilgrim crosses several decades exploring the intersection of science, religion and the unexplainable as a family gathers to say goodbye to the matriarch who held a family secret. 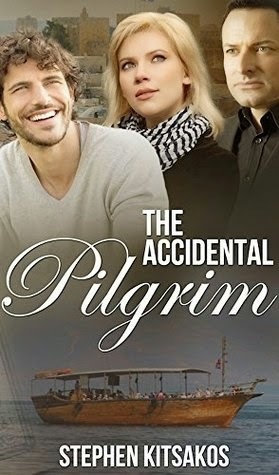 A completely intriguing and somewhat mysterious read, I found myself very much enjoying The Accidental Pilgrim though it is not the type of story I normally find myself drawn to. The book was an easy read with a lot of well thought out detail, including places that I already know and love which is always pleasing to read about. The story is somewhat of an enigmatic tale which goes back and forth between past and present and also incorporates some mysticism on the side. Again, not my usual fare but this book was written in such a way that I could not help but feel myself be drawn into the story and I actually raced through it hoping to reach a satisfying and enlightening conclusion, which quite happily, I did. The characters are well thought out and even though not a huge amount of detail is given about some of them, like the three children of Rose and Simon, they all are very strong individual characters that really work together to bring this story together in a very logical way. I found the dialogue to be very realistic which is often a complaint of mine, especially with topics that I don't know a lot about. Stephen Kitsakos definitely has a strength in taking a story and making it relateable, no matter the topic, which made this story such a pleasure to read. For anyone interested in ancient history or even certain aspects of religion with a great dose of intrigue, then pick up this book. You won't be disappointed! A lot of readers have commented on the realistic dialogue. I remember commenting on the dialogue in a book many years ago, and every now and then I wonder if I was being petty about that. Seeing so many people compliment this author on his dialogue, I don't think I was!